The motoleggera utilitaria Vespa, or light motorised runabout, was presented to the public for the first time in April 1946 at the Rome golf club. The leg shield sported the new Piaggio logo, which replaced the former aeronautical emblem. 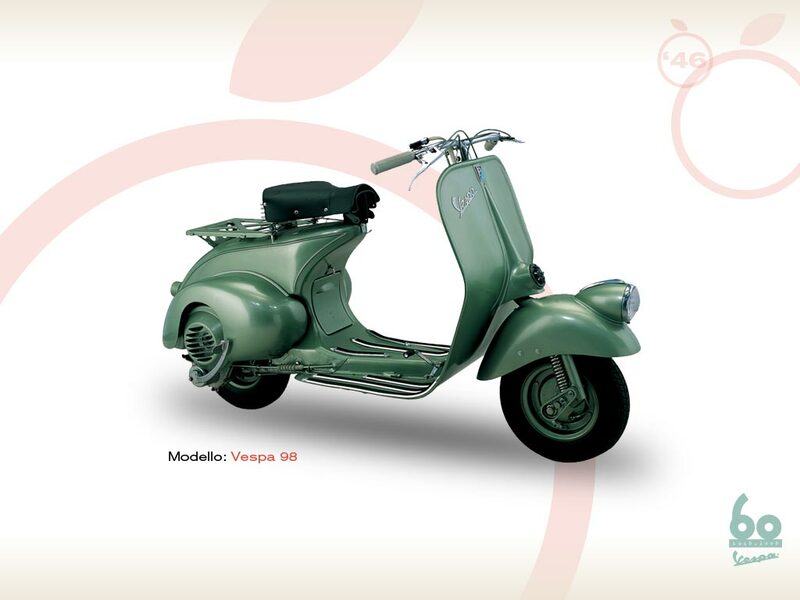 The fortnightly magazine "La Moto" dedicated its cover to the Vespa and the new scooter sparked off curiosity, surprise but also a certain scepticism among the public. The first fifty vehicles were produced at Pontedera’s factory at the same time of the official presentation. For the first few months the Vespa was marketed by the Lancia dealer network, and a total of 2,484 were produced in its first year of life. And so the adventure of the world's most famous scooter began. The price of the Vespa 98 was of Lira 55,000 while the “luxury” version was sold at the price of Lira 66,000. The model you have mentioned over here is the first model of the scooter and now company is all set to launch its new variant in India. And, the company asserted that the present model will go and hack the success. Your post is very good and provides the great information. If you are looking for buy latest and innovative online information of Piaggio Vespa LX 125 Bike in india. View here complete details of Piaggio Vespa LX 125 Bike india at Autoinfoz.com.